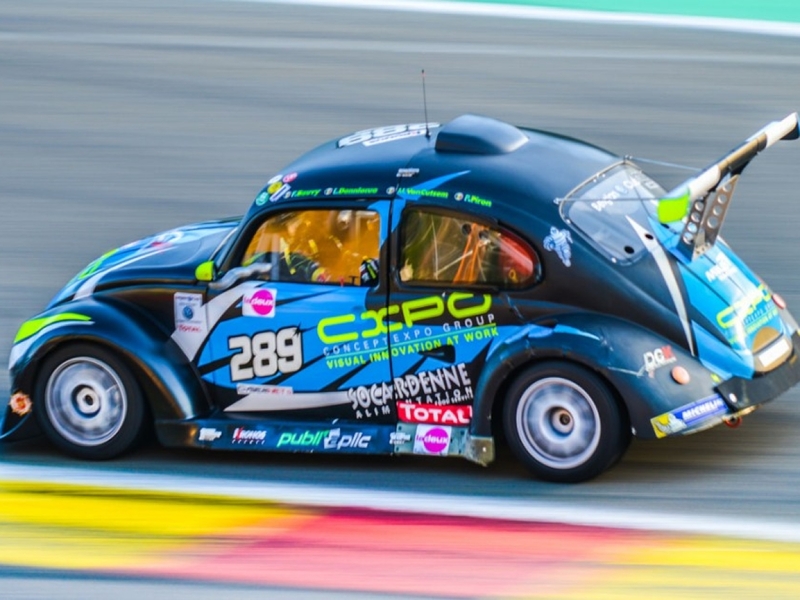 5th position out of 120 for our 25 Hour VW Fun Cup at Spa-Francorchamps! A highly fun, adrenaline-packed weekend. Thank you to all those who came to support our team! A great weekend for our customers and CXPO staff who were able to experience live racing from inside in direct contact with the drivers of our VW 289 team. The programme included a reception at our stand in the paddocks, a race briefing by our pilots, a walk on the starting grid, a lap debriefing, a DJ, fireworks and plenty of other entertainment! Please come and share our team’s passion, bring your children into a car and put them inside with their hands on the wheel (they’ll feel a little stressed but will also have a smile on their faces). Congratulations also to our customers who have “exploded” their adrenaline by getting in as a co-pilot in a two-seater for a few laps ... an unforgettable experience! We’re delighted to be in fifth position out of 126 cars! Even so, our team’s hopes have not been fulfilled as it missed the podium by 1 minute and 47 seconds! In short, it was a great weekend and the car finished without a scratch, which is a feat when you consider there were a record 45 race-ups following accidents, without even taking into account hundreds (!) of “spins” and other small runway overruns. This big family event was definitely a great opportunity to have a good time together this summer!